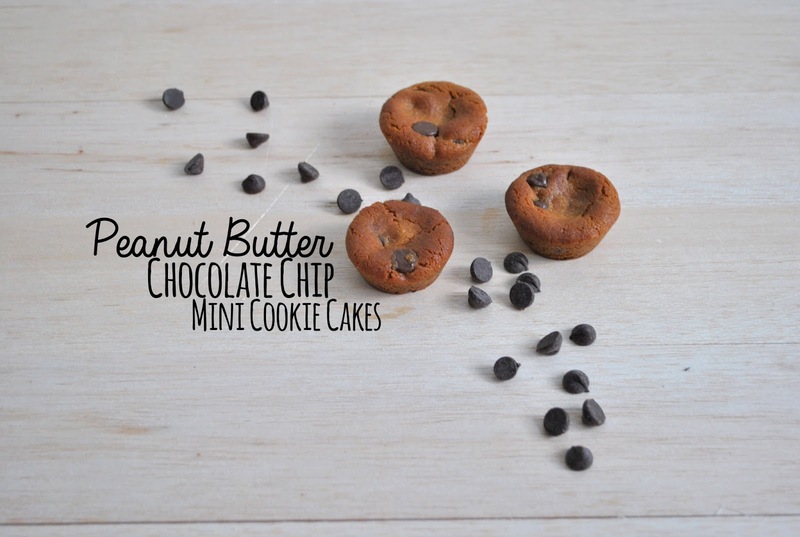 Peanut Butter Chocolate Chip Mini Cookie Cakes: The Best Cookies Ever - Made With Only SIX Ingredients! I recently was given the opportunity to review a Grazia mini-cupcake silicone baking pan and I'm obsessed with all of the cute creations I can make with it. Although I'm on NutriSystem and haven't had any added sweets lately, I made hubby a batch of my famous cookies in mini-cupcake form and they turned out wonderfully so I just have to share this mini cookie cake recipe. Plus, with only SIX ingredients these are SUPER simple to make! Do you have a dinner party or special event coming up over the holidays? These little perfectly portioned cookies will be a hit! You can eat these little cookies plain or top with icing, ice cream, or even additional chocolate chips or peanut butter to make these feel more like "cookie cake"; the possibilities are endless! You'll start by combining brown sugar, peanut butter, egg, and vanilla. Mix on medium-high speed with a mixer or stir for an extended period of time, be sure the mixture is well combined and not gritty or granular. Now add baking soda and chocolate chips, continue to stir. Roll into ball shapes and place cookie dough in refrigerator for an hour or more (overnight would work even). When ready to bake pre-heat your oven to 350 degrees (F) and place cookie dough balls into the cups of the pan and gently push them down a bit so they will spread easily into the shape of the cup. Bake for around 8-10 minutes, possibly longer depending on how crispy you want your mini cookie cakes. Allow cookie cakes to cool and easily pop them out of the silicone pan and enjoy! I received one or more of the products mentioned above for free using Tomoson.com. Regardless, I only recommend products or services I use personally and believe will be good for my readers.